Throughout the ages people have reported messages from the spirit world, the “other side”, as the Druids called it. Are all of these communications just a manifestation of our collective imagination or is there something really out there? I believe there is and there is a growing mound of research that points in that direction. Why is it important to know if messages sent from the spirit world to us are real or not? After all, it doesn’t affect our daily lives. If our smart phones stopped functioning, then the world would truly end for many of us. Whereas, if communications suddenly ceased from on high, the world would still turn; we have our religious texts that have formed the basis of many cultures on the planet. Judaism – Moses and other prophets in direct communication from God filled in major portions of the Old Testament. Christianity – The Holy Spirit figured in many passages in the New Testament. Revelations is a spirit communication direct to John. Islam – Mohamed’s Koran is the recording of his conversations with spirits. 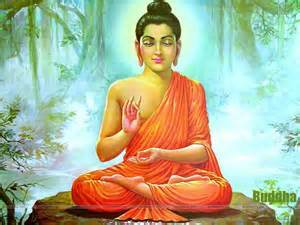 Hinduism – Many Gurus’ received inspiration from representatives from the other side. All are based on inspiration that did not come from our physical world, or according to some, a reported inspiration. Only a few religions, such Scientology, have not allegedly been based upon divine guidance. My thesis is that this process has not abated and in fact will continue. It is never-ending because as society and technology evolves, the guidance delivered to us will be modified to suit our level of sophistication and increased in breadth. As an example, the directions from God to Moses, while wonderful in laying out a set of Divine Commandants, also include many cruelties. Such as orders to kill everyone in a city or other directions, that today, we would consider horrendous, seem to be commonplace in the Old Testament. This is because the cultural level and the primitive state of technological advancement made direct threats imperative in modifying human behavior. As we progress to the New Testament, the message is more about fraternity and love. Yes, prejudices still abound in the text, but the tone was altered, all within the boundaries of what people at that time could absorb. For this is the central tenet to keep in mind, the information supplied to us is based upon our ability to understand the content. Hence, a group of primitive souls, who just escaped from slavery in Egypt wasn’t fed a philosophy based entirely on love and forgiveness, for if they were, the Jewish faith would have been removed from the history of the world long ago by more aggressive tribes. Jehovah Witnesses – Messages from spirits to the Governing Body of Jehovah Witnesses. Edgar Cayce – Revealed many visions, he said he received from a Higher Intelligence. 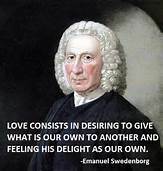 Emanuel Swedenborg – Wrote books about his insight in the other side as he was personally escorted to many areas of the spirit world. Internet – Full of missives from people who are relating what they think are Divinely Inspired Thoughts. Therefore, communications didn’t come to a halt once we considered the texts for the major world religions were composed. They are still being delivered. And there is much more phenomena we experience which can’t be explained by today’s science. First, remember, and any scientist will tell you, the sum total of our discoveries is miniscule compared to what lies ahead. Meaning, there is so much more out there to learn about our universe. Science is not settled, it is a continuing endeavor. Scientists are interested in new discoveries and some are fascinated by the lure of the Spirit world. Early in the 20th century we had pioneers of modern science attempt to unravel the mystery. Many great intellects from the time of the Renaissance to our current century were and are believers in a world created by a Supreme Intelligence. The pioneers of modern science, such as Kepler, Galileo, Pascal, and Newton all adhered to the theory that the hand of God was integral to nature. According to the book, Science Discovers God, by Ariel A. Roth, four out of ten scientists believe in a God that answers their prayers. This is in the face of an enclosed conformist society which penalizes anyone who professes anything else than a strict adherence to a natural system created out of chaos. Men and women, who have scientific educations and backgrounds, are seeking an answer for variables and occurrences which can’t be satisfied by applying our current methods. They are actively attempting to conduct experiments and research to supply answers to questions we have all been asking since the dawn of human reasoning. First, why have I pursued drawing together the different threads of spirit communication? My background and inclination when I was growing up was not spiritual at all. In fact, my spiritual quotient was quite low. I remember my mother being embarrassed when I was about twelve, and announcing in a loud voice, upon seeing our Reverend walking toward the pulpit, that God was coming. For some reason after that incident, I didn’t have to attend church on Sundays any longer and was given the gift of maneuvering my toy soldiers at home in complete isolation. I went on to graduate from the University of California at Irvine with a Bachelor in Science in Computer Science. I also, during my years of working received a Masters of Business Administration from City University in Bellevue, Washington. I have been active in the Technology field for over thirty years. I wasn’t religious. I had a vague belief in God, but a sense of a distant God, which really wasn’t concerned about a tiny planet in a small spiral of a distant galaxy, called the Milky Way. My life, like many others, seemed a series of random events, which brought me good and bad times. Again, like most, I didn’t appreciate the highs and I whined and complained the entire time during the lows. Until an episode occurred which I could not rationally explain. That event started me on my journey of discovery. The mystery could not be solved unless there was a higher power involved that was manipulating and pulling levers unseen on earth. I found out that others, superior to me in their ability were working on the same basic questions. Exciting investigations are underway within the last few years. The internet has lent credibility to phenomena that would have been dismissed a decade ago. Take NDEs (Near Death Experiences) as an example. Before the creation of a worldwide bulletin board to post individual near death experiences, people probably spoke to a select group of close acquaintances. Some may have believed the story or not, more importantly, they had just one data point to consider. There wasn’t an accumulation of evidence to convince anyone that they should listen attentively to what occurred. It was merely accepting a personal story from a friend, then filing that memory away under the title of “strange episodes”. With the advent of the internet, organizations like NDERF.org, Near Death Experience Research Foundation, which serves as a location to post stories, from all languages, countries, and cultures throughout the world, patterns can be detected. Patterns that are intriguing, since while one or two people reporting visiting past relatives and receiving information that they could not possibly know is an anomaly, thousands living through similar circumstances is a singularity that must be investigated. Therefore, various research projects have been reported on and are in progress today. All are finding anomalies which can’t be explained with current science. They all point to an unseen force. A power that is sometimes associated with our bodies, as in the results from the NDE and an outside force that can show up in a vacuum chamber and emit photons exactly at the requested hour. Could this be the beginning of the discovery of our soul, our spirit force and the existence of a spirit realm where our spirits travel to when they leave their bodies behind? Let’s look at some of the exciting discoveries being made. 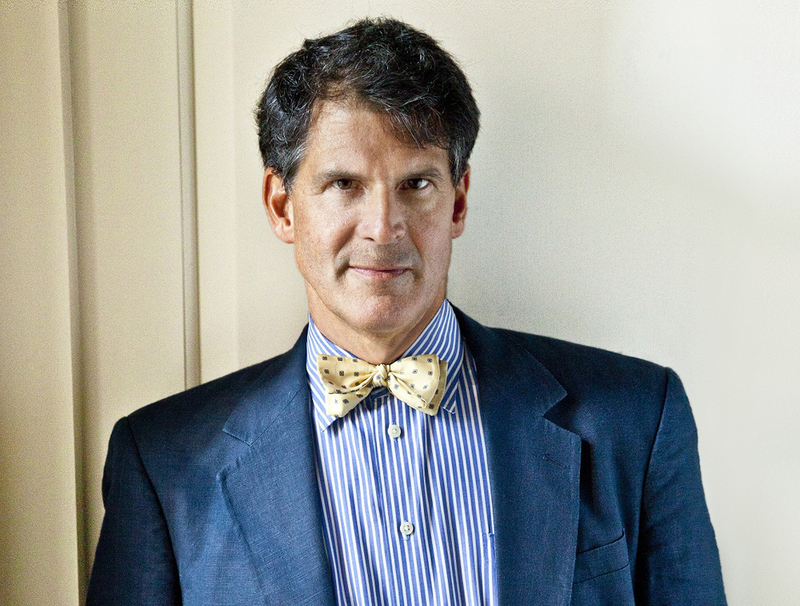 Dr. Eben Alexander, a Harvard trained neurosurgeon, who never professed any belief in the afterlife or of a soul. He held fast, like many others that near death experiences were mainly hallucinations. “Dr. Alexander changed his mind after he was in a coma for seven days caused by severe bacterial meningitis. During his coma he experienced a vivid journey into what he knew to be the afterlife, visiting both heavenly and not so heavenly realms. – The experience of the afterlife was so “real” and expansive that the experience of living as a human on Earth seemed like an artificial dream by comparison. – The fabric of the afterlife was pure LOVE. Love dominated the afterlife to such a huge degree that the overall presence of evil was infinitesimally small. If you wish to know the Universe, know Love. This, of itself, would just be one more NDE added to the towering pile of other accounts. For all that he revealed from his journey, there is nothing that wasn’t said before by many near death experiencers. “1. A primitive brainstem program to ease terminal pain and suffering (“evolutionary argument” – possibly as a remnant of feigned-death strategies from lower mammals?). This did not explain the robust, richly interactive nature of the recollections. The distorted recall of memories from deeper parts of the limbic system (for example, the lateral amygdala) that have enough overlying brain to be relatively protected from the meningitic inflammation, which occurs mainly at the brain’s surface. This did not explain the robust, richly interactive nature of the recollections. DMT dump. DMT, a naturally occurring serotonin agonist causes vivid hallucinations and a dream-like state. I am personally familiar with drug experiences related to serotonin agonist/antagonists (LSD) from my teen years in the early 70s. I have had no personal experience with DMT but have seen patients under its influence. The rich ultra-reality would still require fairly intact auditory and visual neocortex as target regions in which to generate such a rich audiovisual experience as I had in a coma. Prolonged coma due to bacterial meningitis had badly damaged my neocortex, which is where all of the serotonin from the raphe nuclei in my brainstem (or DMT, a serotonin agonist) would have had effects on visual/auditory experiences. But my cortex was off, and the DMT would have no place in the brain to act. A reboot phenomenon – a random dump of bizarre dis-jointed memories due to old memories in the damaged neocortex, which might occur on restarting the cortex into consciousness after a prolonged system-wide failure, as in my diffuse meningitis. Especially given the intricacies of my elaborate recollections, this seems most unlikely. One can immediately detect why Dr. Alexander was chosen by the spirit world. His life threatening episode had a purpose. It was to force those who persist in a belief of absolute nothing after death to return to the drawing board and re-examine their body of knowledge which so strongly ties them to the material world. There is one recent research that is supplying that proof. In a 2014, article in the British newspaper, The Daily Mail, we are told of a study, which spanned four years, with more than two thousand patients, all who experienced cardiac arrests. Meaning their hearts stopped and no blood was flowing through the brain, bringing oxygen and nourishment to cells anywhere in the body. Fifteen hospitals took part. The result is that almost forty percent of patients who survived told researchers about some kind of “awareness” at precisely the period when they would have been declared clinically dead. “Scientists at the University of Southampton conducted a four-year study of more than 2,000 patients who had suffered cardiac arrests. The research spanned cases at 15 hospitals in the UK, U.S. and Austria. ‘The evidence thus far suggests that in the first few minutes after death, consciousness is not annihilated. The scientists heard one man recall leaving his body entirely, watching his resuscitation from the corner of the room. “Dr Parnia said: ‘We know the brain can’t function when the heart has stopped beating. ‘But in this case conscious awareness appears to have continued for up to three minutes into the period when the heart wasn’t beating, even though the brain typically shuts down within 20-30 seconds after the heart has stopped. ‘This is significant, since it has often been assumed that experiences in relation to death are likely hallucinations or illusions, occurring either before the heart stops or after the heart has been successfully restarted, but not an experience corresponding with ‘real’ events when the heart isn’t beating. “Thirty-nine per cent of patients who survived cardiac arrest and were able to undergo interviews described a perception of awareness, but did not have any explicit memory of events. ‘This suggests more people may have mental activity initially but then lose their memories after recovery, either due to the effects of brain injury or sedative drugs on memory recall,’ said Dr Parnia. Among the study participants who recalled awareness, and completed further interviews, 46 per cent experienced a wide range of mental recollections, that were not compatible with the commonly used term, near death experiences. They included feelings of fear and persecution. Only nine per cent had experiences commonly linked to a near death experiences, while two per cent showed full awareness or out of body experiences. They explicitly recalled ‘seeing’ and ‘hearing’ events after their hearts had stopped. In many of the cases, several similar trends emerged. One in five described a feeling of peacefulness in the moment after death. A third said time had either moved more quickly or slowed down. An out-of-body experience was felt by 13 per cent of those asked. The bright light or golden flash image often used in Hollywood films was also described by some patients. 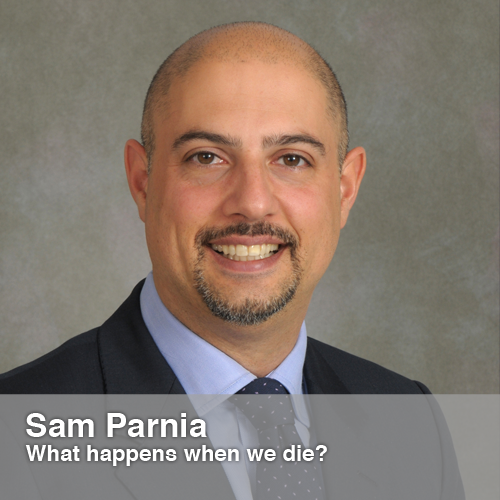 Let’s look at the reported results; nine percent of the 330 had what Dr. Parnia’s team would consider a NDE, while thirty-nine percent had an awareness. I would contest the throwing out of the people included in the NDE category the people who had feelings of fear and persecution, since there are many cases reported where the NDE wasn’t pleasant. Hard truths are often exposed to those who need it. Emanuel Swedenborg, the 17th century medium who wrote books about the spirit world, was allowed to be present at judgments after death and not all were pleasant. Still with the exclusion of all any flawed experience toward the NDE tally, the percentage is higher than I would have thought. The spirit world doesn’t make any near death event an occasion to communicate with us. Only those persons, who have been targeted, by reasons unexplained, are given the opportunity to converse with the other side. There is always a purpose, which may not be readily apparent for some time. This is one of the main objectives of my quest; to provide the Spiritist interpretation of the event and supply the underlying objective of the spirit realm in contacting the incarnate. The bottom line is facts have been revealed that would have any reasonable person questioning the thesis, so loved by the illuminati of our culture today, that we are just organic animals, destined to rot away, without a soul, without a purpose in life, other than to consume. There is another series of experiments being conducted. Along similar lines that Thomas Edison performed. 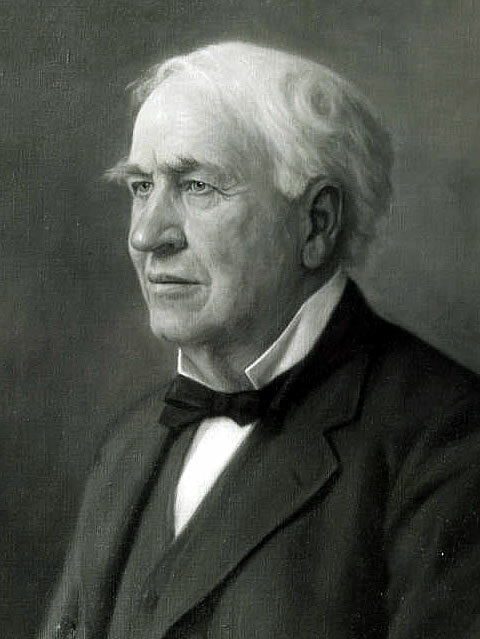 While Edison had the mere beginnings of detectors, we know possess advanced and sensitive methods to detect energy. 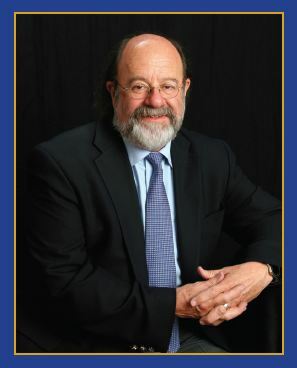 This work is being conducted by Dr. Gary Schwartz. He arranged with a medium to set up a fixed hour to enter the chamber. He showed the absence of any photons until the time appointed, then photons were detected. To disprove his colleagues’ suggestions that his positive thinking or the thoughts of his assistants influenced the test, he arranged to have the medium determine the hour of the visitation. He demonstrated that even in this manner the instrument would detect the presence of photons at the time determined by the medium, who did not know the location of the chamber. What occurred to Dr. Schwartz and Dr. Alexander weren’t random events but planned actions that were meant to spur intellectual curiosity. All meant to move our society one foot closer to the time when the fact that a spirit realm does exist at our very door step becomes an accepted reality. They were “sitter-silent double-blind” experimental paradigms. Moreover, the experimenter was purposely blind to details regarding the sitter’s deceased loved ones. Since the experimenter was blind to this information, the experimenter could not provide unintentional cues to the medium. His findings confirm that responsible mediums, without any knowledge or physical clues from the inquiring persons, are able to expose information about past and present lives that can’t be explained by current science. Below is a report on one of his examinations done for a camera crew for ABC. “On August 11, 2011 I conducted two sitter-silent double blind demonstration readings for Nightline. I selected one of the sitters; a person I had met only once, and I knew virtually nothing about his deceased loved ones. ABC selected the second sitter; hence I was blind to both the identity of this person as well as any information about her deceased loved ones. The first reading, which happened to be the sitter I had selected, was witnessed only by the cameraman; the producer’s connecting flight had been delayed and she was only able to witness the second reading. As you can probably imagine, sitter-silent double-blind demonstration readings are typically stressful for everyone concerned – especially the mediums and the sitters. However, the second reading was even more stressful because the producer had less than an hour to set up her two extra cameras, record a brief reading, allow us to go through the specific information item by item, and then record quick debriefings with the sitter, medium, and experimenter. It always amazes me when genuine mediums can obtain accurate information under these conditions. I will briefly highlight the primary pieces of information which the medium – Nancy Matz – received regarding a deceased person named Connie for the ABC selected sitter. It was only as we reviewed the information, item by item, that the sitter realized that the profile strikingly fit her deceased loved one. The medium saw a house with a large property which had many trees and greenery. This is not a typical home in the desert. The sitter later explained that Connie was not fond of the desert; Connie had a large backyard where she had planted many trees and other greenery. The medium mentioned money was important right at the outset. We later learned that Connie’s family had been feuding over her estate and this had caused breaks in the family. Money is sometimes a problem in families after someone dies. The medium said that Connie had died from a long standing illness. This turned out to be true. People can die from many causes, including accidents, murder, suicide, old age, and illnesses. The medium said that she experienced a “smell” associated with the deceased. This initially meant nothing to the sitter; we presumed it was an error. However, later we discovered that this was a surprising and important piece of confirmatory evidence (described below). The medium described what Connie looked like. The information generally matched Connie (e.g. it did not fit my mother or grandmothers, for example). The medium described Connie’s personality as especially nice and caring. The sitter later confirmed this. Not everyone who dies fits this description. The medium claimed that the deceased felt “cheated” in life. The sitter said this applied to Connie in potentially two ways: (1) financially and (2) personally (the sitter claimed that Connie was not ready to leave her family). None of this information, by itself, is especially unique. However, it is the pattern or profile of this information, taken as a whole – what statistician’s term the “conditional probability” – which reveals the apparent accuracy of this brief reading. As the medium was reporting this information, since I was blind to the details, and the sitter was silent, I had no idea which, if any, of this information fit Connie. Out of curiosity, I decided to do something novel. I invited the sitter to write a question she would like me to ask of the medium. I assumed, as it turned out mistakenly, that such a question would be non-evidential. In other words, if the medium said yes, how could we potentially verify this in the brief span of the reading? Since I had never asked such a question before, I asked the medium how she came to this conclusion. She pointed her hands and said she saw Connie over there (pointing toward the right), and said that was her East direction. To everyone’s surprise, we later learned from the sitter that Connie spent most of her last days on the East side of the house, in her room and family room. Of course, Nancy had a one in four chance of getting this right by guessing. However, when I subsequently asked the sitter how she inferred that Connie’s spirit was still present in the house, she replied that sometimes she smelled her! When I reminded the sitter that this was something that Nancy had mentioned early in the reading, the sitter realized that she had not made this potentially important connection. Of course, we cannot determine if this was simply the imagination of the sitter or a veritical perception of the presence of Connie’s spirit. What matters here is that the information fit and adds to the pattern / profile of information. In essence, the medium knew or at the worst accurately guessed with zero clues about the state of the person who was seeking comfort about a deceased loved one. Either the medium was able to read minds, from a person they couldn’t identify, or there is an unseen space or dimension where information is stored and can be retrieved. You can read about other experiments and see the books he has written on his website. What do these studies tell us in absolute terms? People, not all, who experience a NDE retain memories of a different place, even after they are considered clinicallybrain dead. All of the main stream hypothesis for NDEs was that hallucinations occurred as the brain was shutting down or other reasons, were refuted. Some are able to record events in the physical world that they had no possibility to detect, because they were unconscious or clinically dead. There is an unexplained source of energy that appears upon request (by a medium) in an enclosed dark vacuum chamber. 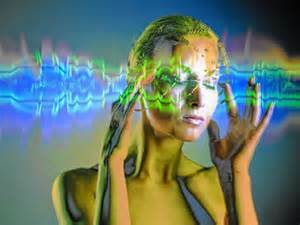 Some people, mediums, are able to extract detailed information about past lives and current lives in a manner that is currently unexplainable. We already know all of the laws of the universe. It’s just getting them into a nice neat mathematical formula that is the part that is left. Granted, I am being a bit factious, I strongly believe no real scientist holds this belief, but many laymen do. So I put this into the list first to remind us all, that we don’t know everything, or even close to everything. Near Death Experiences could be explained by the chemistry of the brain. This has been disproven. Although I fully expect the definition of brain dead to be altered to try and use this as an argument once again. There is no such thing as a soul; we don’t live on after death. Something happened to people who were clinically dead or unconscious and therefore should not be able to detect events around them. Hence, one can’t say with certitude that humans are only composed of their physically identifiable parts. There is no unseen intelligence that is within our midst. We are on a planet by chance, alone and abandoned. If this is the case, how could energy appear in an enclosed space upon demand? How could mediums derive facts from thin air? Currently, I don’t believe you can prove the existence of a Supreme Intelligence and on the other hand you can’t dis-prove it. If what we have surveyed is true, that we do have a spirit and there is something unseen amongst us, then it stands to reason that some sort of communication is possible and has already been tried. If there is rational exchanges of messages, then it follows there must be a sentient beings or beings which are connected to us in a currently undefinable manner. Heretofore, these communications have been the basis for our religions. The means whereby prophecies are revealed, the method in which psychics tell us of past family history of which they have no previous knowledge, in short the spirit world has been talking to us for thousands of years. Many of you have had similar experiences, from Dr. Schwartz hearing a voice for him to put on a seatbelt, to a friend of mine, who soon after his father died, heard his father tell him to slow down on a curve, which he did, so he missed hitting a large deer. These common phenomena, which in the past were accepted as warnings from God or from other spirits, are now suppressed and explained as mere coincidences by people who do not wish to acknowledge a power greater than themselves. There is nothing wrong in their belief, which is their freewill. But it is counter-productive to actively ridicule others so the very mention of a Supreme Intelligence connected somehow to our lives is fraught with danger. Unbeknownst by the doubters, the very science they use to squash debate is pushing the boundaries and will, in my humble opinion, prove the existence of a spirit realm and of a Supreme Divinity who guides us all. We are on the verge of a new era. With the use of the internet and the ability to collect information from a multitude of people who have witnessed paranormal occurrences, the present of a connection to the other side is being unwrapped. Yes, there will be hucksters and fakers, but these will be filtered and exposed by people with the ability to detect the truth. I am certain the spirit world talks to us, in a variety of manners and for numerous reasons. As Jesus said, “let them who have ears to hear, hear”, what I believe he meant is the ability to not only listen to the physical voice, but the voices, sounds, warnings, and signals from the spirits surrounding us. To listen with our spiritual side, our conscience and instincts to discern what we should be accomplishing while on earth and preparing for when we go back to the “real” world, the universe of unseen energy, where our immortal soul usually rests. If you desire to learn more about the spirit world, from where we come from, how we ascend to how we are guided on during our trials on earth, read my book, Explore Your Destiny – Since Your Life’s Path is (mostly) Predetermined. It will inform you of what the Doctrine of Spiritism has revealed to us through the works of many mediums. The Scole Experiment done in the UK in the 90s (and overseen by the UK Society for Psychical Research, who produced an official report) appeared to have communicated with Thomas Edison, Wordsworth and others during supervised seances……makes fascinating reading! I believe that the spirit world is a reality as much as I do this physical reality, but I also believe that their is a very important reason why their is a barrier between these two realities, and that this is also a well known fact over the long time period that humans have felt the spirit world is trying to tell us something, their are many things that we can’t possibly know about what’s really going on with any contact or experiences that the millions on our side of the barrier have had, and if a spirit from the other side of this barrier claims to be someone famous from the past is really who the spirit claims to be or not, this I just something we cannot be one hundred percent sure of even if the spirit somehow is knowledgeable of the person to whom they are claiming to be, I say it should be looked at with extreme caution, I think this is one of the best analogies of be careful what you wish for that could possibly be. I totally agree with you. In fact Allan Kardec’s “The Mediums Book” goes to great length to help mediums discover how spirits can mask their true level and intentions.